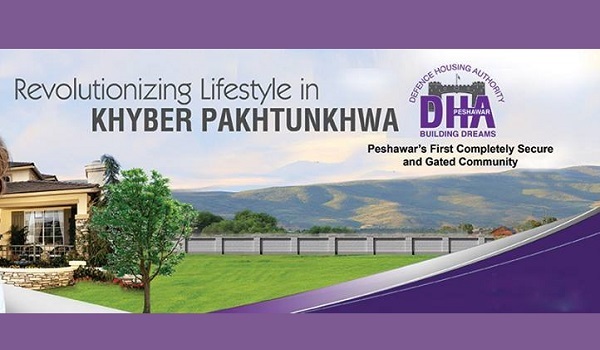 The launch of Defence Housing Authority (DHA)’s project in Peshawar breathed life into the city’s otherwise dull real estate market. Just after the plot file ballot was held for DHA Peshawar, the market warmed up so much that asking profit on the 10-marla and 1-kanal files touched the PKR 2 million mark. However, the situation has since then changed. The plot file ballot was held for DHA Peshawar in March last year, but development hasn’t been initiated. According to my sources, the authority focused on purchasing more land for its Phase I instead of starting development work here. It could have simultaneously pulled both off. Those who invested in DHA Peshawar expected fast pace development work. If you have been keeping an eye on the fluctuating prices of DHA Peshawar plot files, you must have noticed that the rates started to plunge from July last year. This fall that was seen right after the introduction of the taxes last year. It would appear that investors took a step back, but in reality this could not have been the reason since the taxes did not apply to file trade. My sources tell me that the asking profit dropped due to the absence of development work. What’s latest from DHA Peshawar? Rumours about the launch of DHA Peshawar’s masterplan in July have been getting stronger. Many people believe that DHA will release the masterplan on July 15. These rumours have left stakeholders excited about the price trends that are expected after the plan is released. However, there has been little to no impact on rate of these plot files so far. The situation will change as and when DHA makes an announcement in this regard. What interests investors more is the ballot through which plot numbers will be allotted. This ballot is rumoured to take place soon after the launch of the final map. According to my sources, if the authority decides to do so, it can very well hold the plot number ballot in a month. However, there is no telling whether this will happen. The asking profit on 10-marla and 1-kanal plot files in DHA Peshawar was at its highest during the first half of 2016, at PKR 2 million. Ever since then, the asking profit has continued plunged. Currently, a 1-kanal file owner is demanding a profit of PKR 650,000 while a 10-marla file’s asking profit is around PKR 1,400,000. The higher asking profit on 10-marla plot files is justified because 1-kanal plot files are available on either cash or through a 3-year instalment plan, whereas for 10-marla there is no other option. The average market rate of a 1-kanal plot file is PKR 5,000,000, which has seen a gradual drop of about 10% in the last year. Some agents believe that if the authority takes its registered real estate agents into confidence, the market rate of these files can increase significantly. During the launch of DHA Peshawar, many of us expected to see the initiation of development work right after the plot file ballot was held in March 2016. More than a year has passed since then, and there is no concrete development in this regard. Prices will continue to plummet, so if DHA is serious about retaining investor interest, it is time that development work is initiated in DHA Peshawar. In addition, DHA Peshawar needs a network of strong real estate agents and investors, who not only help the authority acquire more land but help DHA market the project properly.